This story has been coming for nearly a decade. After a motorcycle accident, author Colin Andrews lands in a wheel chair and decides to write a short book for his to-be-born son. Then, he stops. It takes the curiosity of a 9 year old to bring the ideas back to life and develop them into a series of novels, first of which has now seen the light of day. The book opens with an exotic exposition in South America, where a group of archeologists stumble on an artifact that someone else, apparently, had been after for a very long time. These misterious others call themselves The Phoenix Group, very secretive, very military and not someone you’d want to cross, at any time. 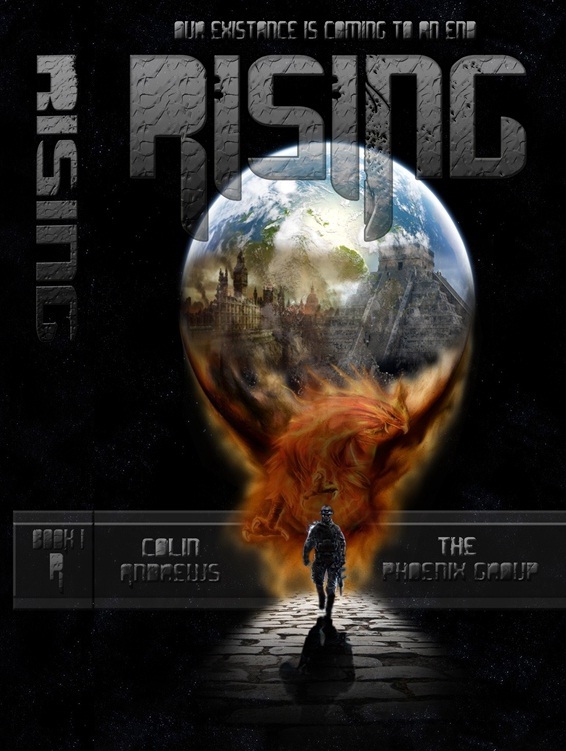 The plot revolves around two main leads-the developments around archeologist Mark Gillian and his discovery, and the situation created by The Phoenix Group and its two operatives Cook and Oz. The problem with the discovery in Amazonas is that it spins off to the other part of the globe, shaking a few chairs in homeland security installations. The potential of the impact is dramatic, to say the least, making certain people really nervous. The novel jumps the reader into an action very soon after the first pages. It’s descriptive enough to create a pretty good picture of what, who and where. Dialogues in it are real, thought through and revealing. All together, it makes a worthy read and a time well spent.